Well its been an epic season, some of the best conditions in Alpe d'Huez certainly in the last 10 years that we have been ski-ing here. 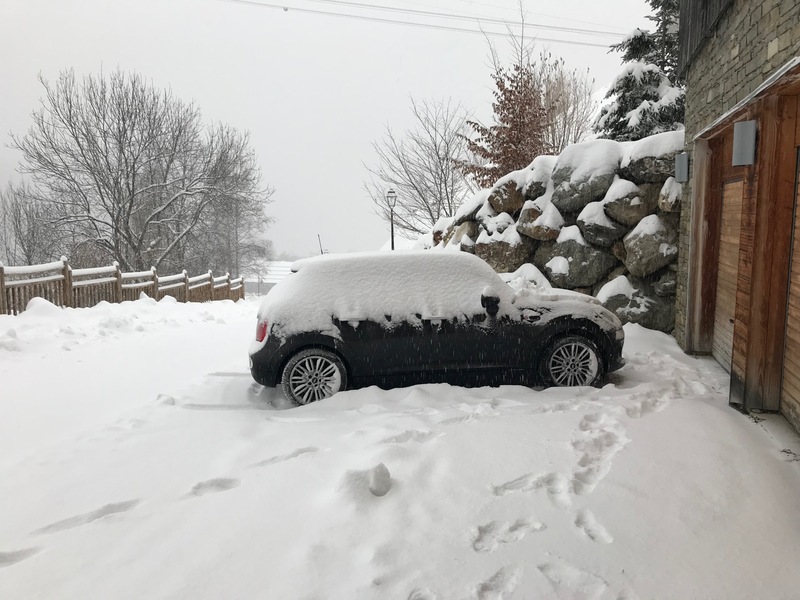 It started in early December with some huge snowfalls in the Alps and has continued with regular dumps of snow week after week. What's been different this year is that we've not had the mild spells of recent years and temperatures have been consistently cold meaning that when storms rolled in there were huge dumps of fresh light powder. This was the scene that greeted me when I left the apartment for the first day of the season on 10th December. And its not really stopped snowing all season meaning conditions right now are some of the best we've seen for years. 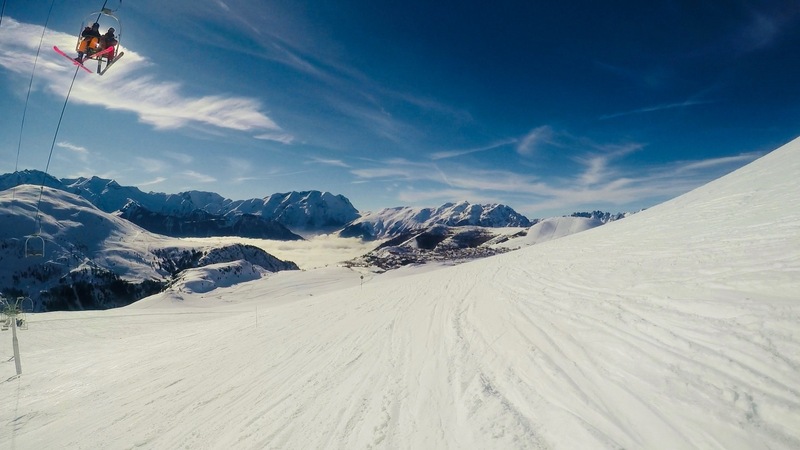 We had some brilliant days ski-ing in late January when some of the runs in Alpe d'Huez that are seldom open were not only open but had superb conditions. If you get the chance then check out some of the blacks off the top of Marmottes 3 such as Coombe Charbonieere, one of my favourites runs in the resort. 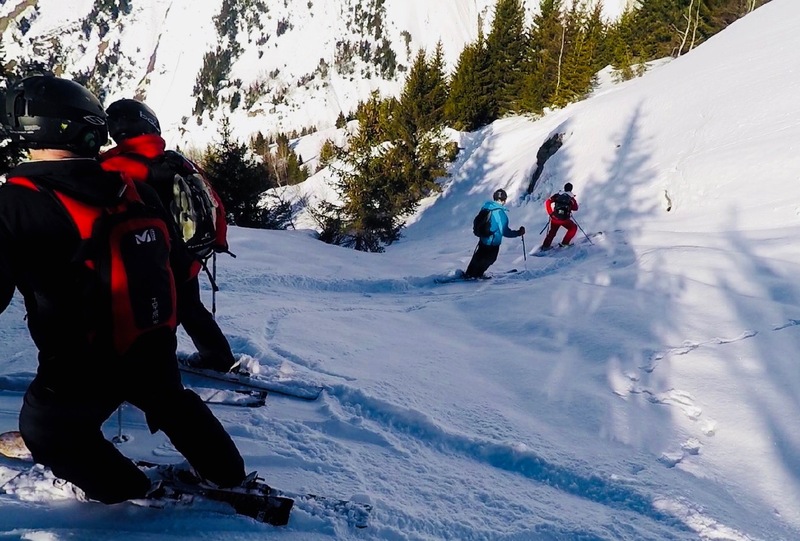 If you want to be a little more adventurous then hire a guide from the ski school office (ESF) in Vaujany to take you off piste. The ever helfpul Charlotte or Wendy will set you up with an instructor to take you away from the crowds. 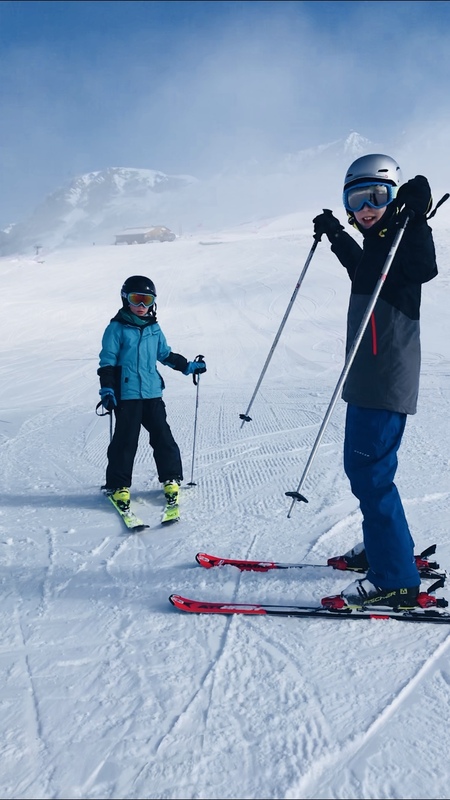 This year we experienced a great morning out with Benjamin who took us off into the off piste playground to the side of Montfrais. Away from the main pistes we found some great stashes of fresh powder even though it hadn't snowed for a week. They'll equip you with all the kit you need, avalanche receiver, shovel and probe and even a backpack if needed. One of the best things about Vaujany, Alpe d'Huez is even when it's the main school holidays you can still ski quiet slopes away from the crowds. Check out the empty piste behind our boys after we'd just skied the the main Alpe d'Huez bowl! The great conditions continued for our guests right through until the end of the season. Check out this image of a perfect powder day in the trees of Montfrais from one of our guests in early April! So, in summary, we had a brilliant season, great snow and we had more guests than ever staying with us and enjoying our chalets and apartments. Stay tuned we have lots of news coming soon with our new our online booking site and some great new chalets to tell you about!